A big deal on a big breakfast! Choose an English muffin breakfast sandwich, Anytime Spuds and an Iced Coffee; or a Home Style Breakfast Burrito with any size guaranteed fresh coffee or Monster Energy Drink (16oz) for just $6. Get a balanced breakfast for just $5 with your choice of an English muffin breakfast sandwich, Anytime Spuds and choice of a Monster Energy Drink (16oz) or any size guaranteed fresh coffee. Rise and grind with your choice of a toasty English muffin breakfast sandwich and a Monster Energy Drink (16oz) or any size guaranteed fresh coffee—all for just $4. A great breakfast at a great value! Choose your favorite English muffin breakfast sandwich with a side of Anytime Spuds for just $3. Take charge this morning with the ultimate breakfast sandwich made with crispy bacon, pork roll, sausage, egg and cheese piled high on a toasty English muffin. Rise & shine to the toasted nooks and crannies of a breakfast classic—made with scrambled eggs, cheese and your choice of meat on a toasted Thomas’ English muffin. All your breakfast faves packed into one amazing sandwich featuring fried eggs, crispy bacon, savory sausage and melty cheese on an artisan baguette. Yes, you can have mac and cheese for breakfast! We take our classic ooey-gooey mac and top it with your breakfast faves. Packed, stacked and ready to roll! Double your delicious with two slices of pork roll, two fried eggs and melty cheese on a hearty Portuguese roll. Wake up to our signature breakfast burritos made with scrambled eggs, melty pepper jack or cheddar cheese and your choice of meat and fresh toppings on a 10-inch tortilla. A delicious start to any morning, these breakfast bowls come packed with plenty of protein (and your favorite toppings) to keep you energized all day long. Crispy, flakey dough stuffed with your choice of breakfast faves like scrambled eggs, cheese, potato, crispy bacon or savory sausage. The name says it all! These crispy hash brown potatoes are the perfect side to your breakfast, lunch or dinner. They’re also pretty good on their own. 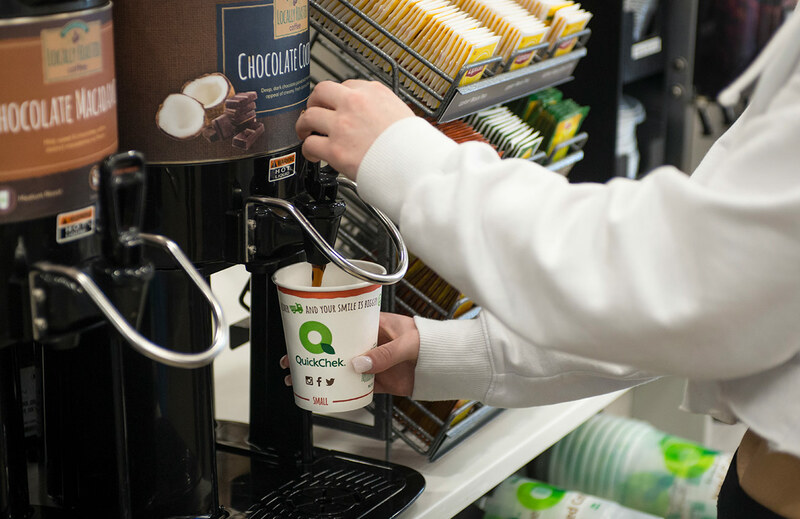 All your favorite flavors—always fresh brewed. There's coffee. Then there's coffee. That's why we're committed to serving our friends and neighbors carefully sourced, expertly roasted coffee that meets our highest standards of fresh.